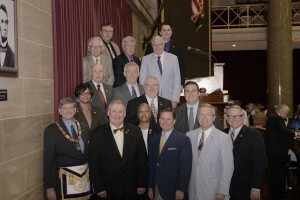 Photo taken on May 4, by the official photographer of the Missouri House of Representatives, of the Grand Master with members of the 98th General Assembly who are Freemasons or members and Order of the Eastern Star, Prince Hall Affiliation. 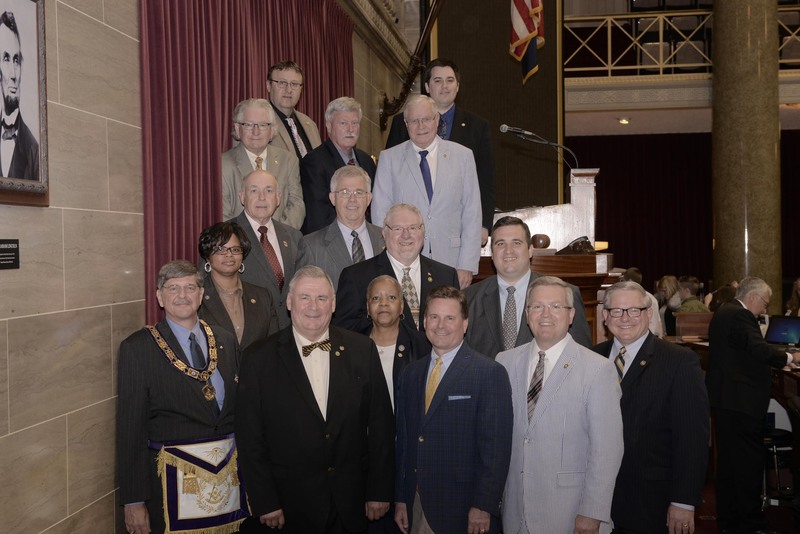 The picture was taken the dais of the Missouri House of Representatives. Unfortunately, a number of Mason-legislators were unable to be in the photograph due to ongoing meetings.